Bishopsgate office space is an outstanding building that has some stunning and far reaching views across London. Situated in the financial district, this office space has excellent transport facilities close by including tube and train networks. 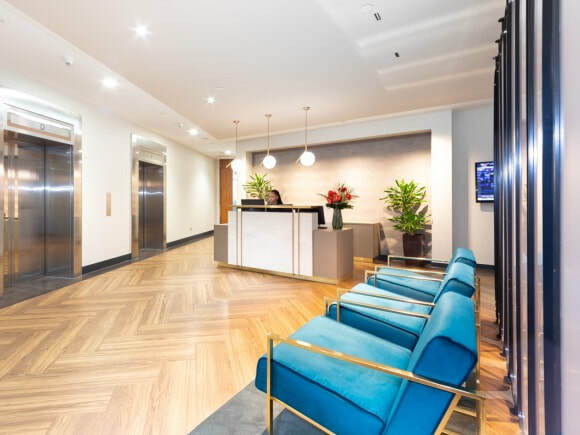 There is a spacious reception and lobby area on the ground floor and professionally trained staff can welcome guests that visit the building. With a wide range of serviced office to rent, this property has a selection of facilities including boardroom hire, kitchen points, and comfortable lounge areas. High speed lifts access each floor and there are superb support services available including admin assistance and IT support. Boasting fast internet and air-conditioning, these office rentals are a top choice for any sized company.